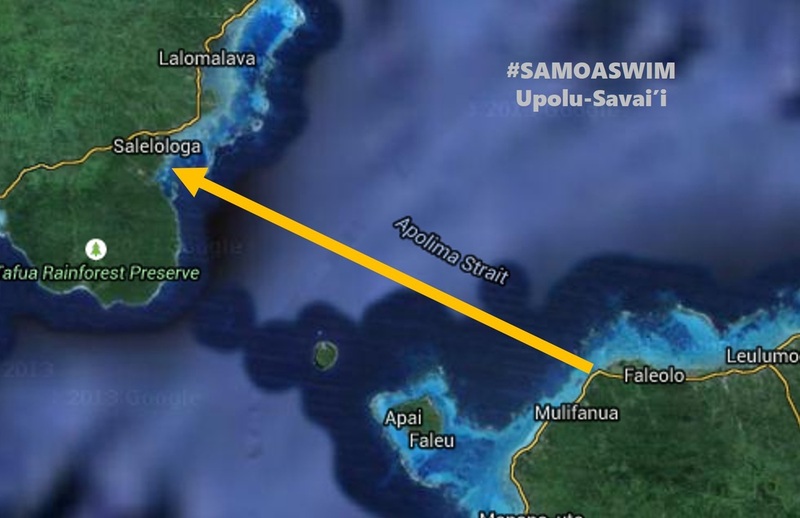 At 22.3 kms, the annual Upolu-Savaii Swim is the longest Open Water Swim race event in the Southern Hemisphere. 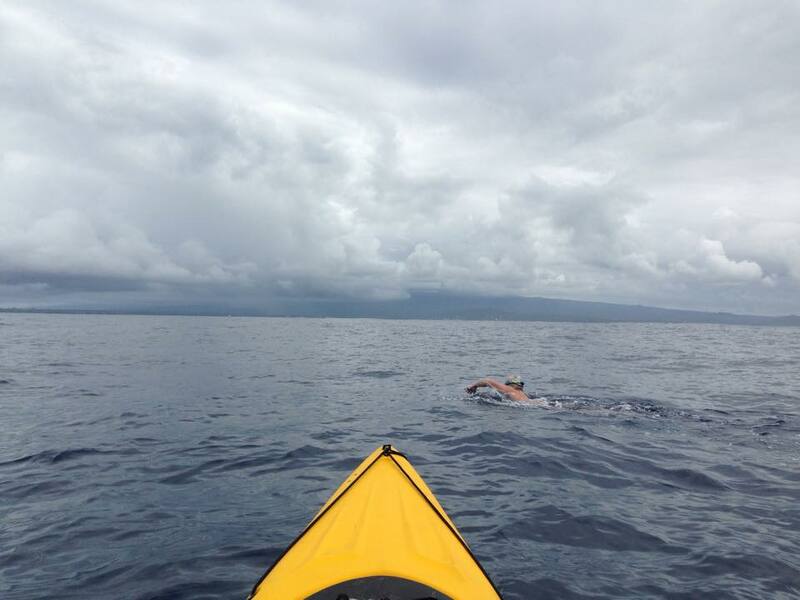 The swim starts a short distance from the Upolu ferry building at Sheraton Samoa Aggie Grey's Resort. 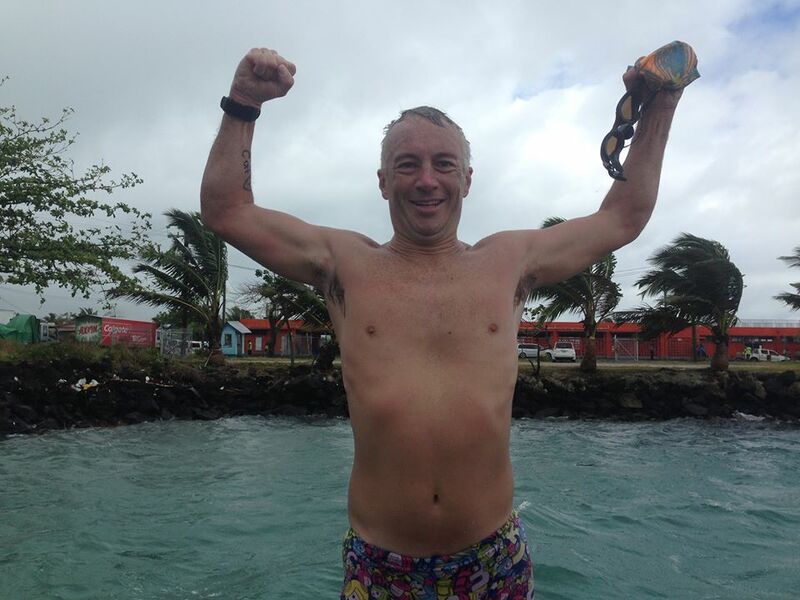 The finish line is at Lusia's Lagoon & Chalets on Savai'i at Salelologa. The body of water between the two islands is the Apolima Strait. There is nothing straight about this Swim. The current sweeps sideways left to right or right to left. The annual swim is now scheduled for the lowest tide cycle to minimise water movement. Non-wet suit The swim is limited to 30 entries. Swimmers must prove their fitness for the swim in a 10km solo swim race anywhere in the world within six months of the event date. The qualifying swim must be non-wetsuit and under 4hrs for 10km / 6.25miles. 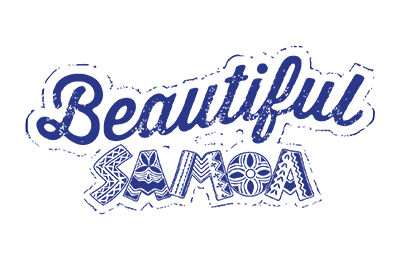 A few days following the Samoa Swim Series in early August, three swimmers swam the Course to test it out for the inaugural race in 2016. 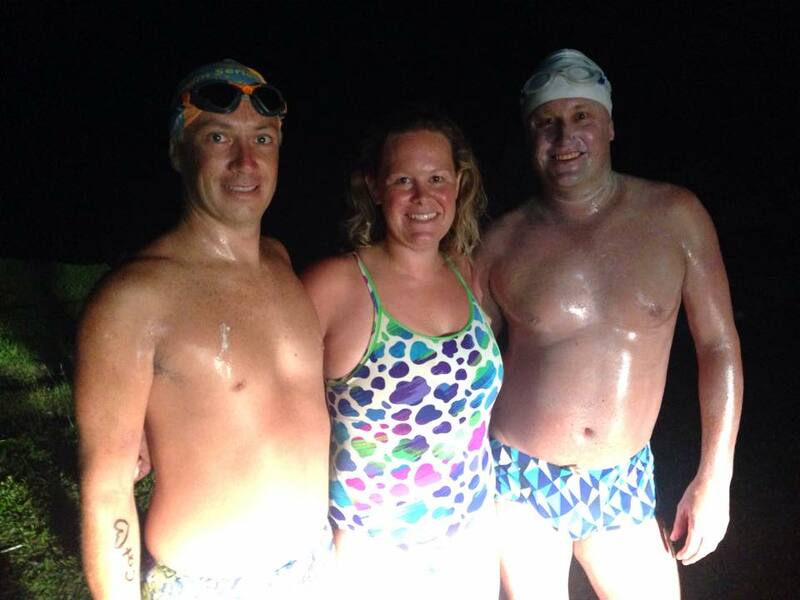 Attached is the report from the swim. The swimmers before the start at the Upolu ferry building are L-R above, Mike Cochrane and Rosie Sharman of Auckland and Kane Orr (ACT, Aust). The photo below is of Mike with about 7km (4.5miles) to go. Upolu - Savaii Swim 2017 - use this form to contact us to register your interest in the Swim or to ask a question. Thank you.